The absence of condolences and the dry technical format of the statement triggered almost immediately an intense online backlash with hundreds of negative comments spilling across various social media forums and platforms. from reading the comments, it appears that many people had found the message to be insensitive and even unethical in the face of the tragedy that had just unfolded where 298 people had lost their lives. It also drew the scrutiny of netizens on the claim that SIA had made in its statement. A claim that was quickly contradicted by tracking reports that had recorded a Singapore Airlines plane traveling within only 25 kilometers of MH17 just before it was shot down above Ukraine and obviously using the same air pathway. Further investigations showed that SIA flights had actually been routinely flying over the Ukrainian airspace until the MH17 was shot down. This led more people to stress that SIA post’s claim was dishonest and false or at the very least grossly misleading. We may certainly understand the need to quickly reassure the hundreds of SIA passengers who were scheduled to travel between Europe and Asia and were understandably concerned about the safety of the flight route of their own journeys. However the way the statement was phrased is highly problematic. The initial SIA statement said: “SIA fights ARE NOT using the Ukrainian airspace”. You can try to play with words and with words interpretation but both in layman common sense and grammatical meaning, the “ARE NOT” statement clearly imply that the Ukrainian airspace was not a flight route being used by SIA around the time of the MH17 event. 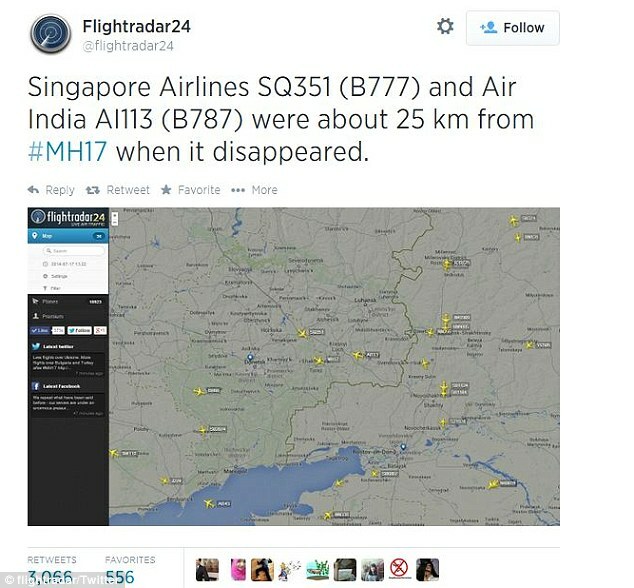 This is apparently not true as the SIA flight tracking records show. That would have been a more proper and honest statement. But that would still not have been enough. Indeed in crisis communication, one essential principle is that you have first to show in your communication sincere empathy for the victims of the event. Only after you have done so you can communicate other messages. That means that the SIA team should also have started its statement with some empathic messages about the MH17 tragedy. SIA eventually did express its condolences and apologised repeatedly for what they called a “miscommunication”. But unfortunately for them, it was too LATE. They were perceived as reacting under the pressure of the negative comments spreading over internet. Some people even seem to think that the initial SIA statement was an attempt by the SIA team to boast on their own safety track record and to make themselves look better than other airlines. But considering that until this tragic event, SIA flights were also using the Ukrainian airspace route, it would have been very misguided for SIA to boast on a record that they did not have. Hence without the benefit of more insider information, I am inclined to think that this statement is simply the result of a decision mistake and oversight mismanagement of the SIA team in charge of social media communication. Probably in the heat of the crisis and under pressure to inform fast its concerned customers, the initial SIA statement was unfortunately insensitive to the victims and so poorly phrased that it led netizens to question the agenda that SIA was pursuing by publishing it. We certainly would have expected that in an organization as reputable as SIA, the people in charge of crisis communications would have been better trained and able to handle the pressures and traps of online crisis communications. It is apparently not the case and hence we would recommend SIA to arrange for urgent appropriate online crisis communications training. To conclude, in an industry where the safety of passengers is of paramount importance, it is never a good thing to be caught making misleading statements in relation to safety issues and it is also not good to appear to show a lack of sincere empathy for the victims of major tragedy. As this controversy demonstrates, the fact that the victims are not your customers does not mean that you do not have to communicate empathically about it. This whole event will surely leave a dent on the Reputation of SIA. While this will have little immediate impact on SIA very strong reputation on the surface, the SIA management should still be concerned about the vulnerabilities it has exposed in their crisis communication decison-making structure and of the negative track record it leaves behind. Such a track record could become a problem in the future if it is not dealt with properly. This entry was posted in Crisis Management, Reputation Risk Management, Risk Communication & Perception and tagged Crisis Communication, MH17, Reputation Risk. Bookmark the permalink. ← SingTel Fire: Failing the Crisis Test?